My study of the Targum of Ruth grew out of my earlier work on Targum Lamentations and the Targumim of the Megilloth. 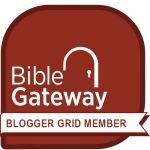 From this page and the submenus above you can navigate to my essays on the Book of Ruth, Targum Ruth, brief commentary on the Book of Ruth, and translation of Targum Ruth. You can also navigate to images of the Solger manuscript. The oldest known MS is Valmadonna 1 and my transcription and translation are based upon that MS. 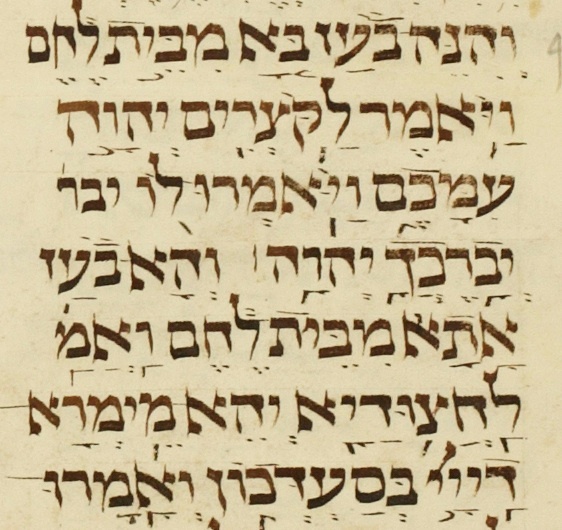 This MS is currently in the Museum of the Bible. The Proselyte and the Prophet: Character Development in Targum Ruth can be ordered it at Brill’s site. The first review came out in August of 2018 on Reading Religion, by Steven Fassberg. Description: Historiated initial I(incipit) at the beginning of the book of Ruth, of Elimlech above and Naomi and her two sons beneath. “Eschatological Lists in the Targumim to the Megillot” is a paper I presented at IOTS in Slovenia 2007. The article has since appeared in Journal for the Study of Judaism, Volume 40, Numbers 4-5, 2009 , pp. 493-509(17). You may download it here: Brady_JSJ40. My translation can be found here, on this site. Samson H. Levey’s translation can be found here, at the Newsletter for Targumic and Cognate Studies at Targum.info. Images of TgRuth from the Solger MS are available here. This is more for curiosity’s sake than anything else, but creating a word cloud via Wordle offers an interesting visual look at the content (in English) of TgRuth.